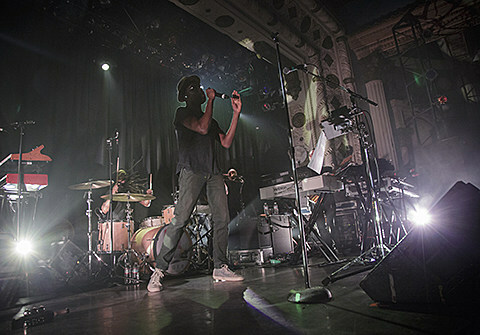 The Metro appeared packed to capacity, yet more people seemed to be coming in every minute. 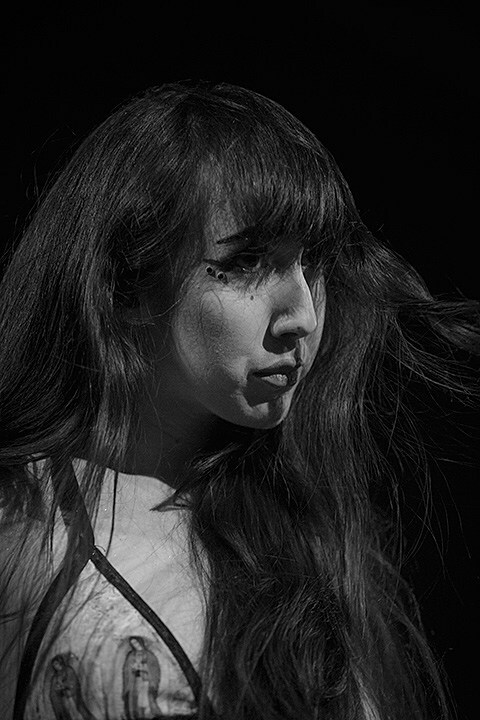 LA band Nostalghia, who’s been touring with TV on the Radio, warmed up the audience playing a set that incorporated an industrial template accompanied by an electric cello and piano. 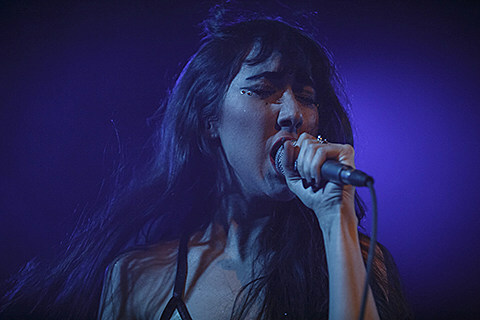 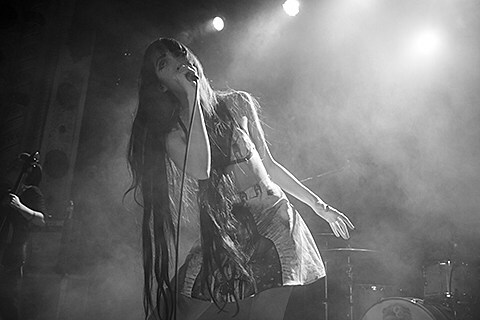 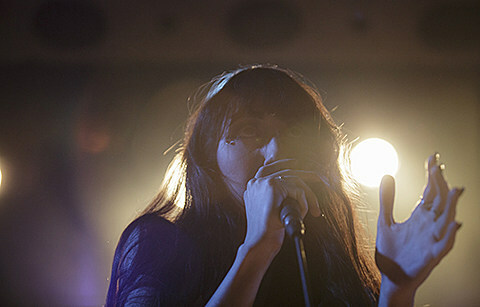 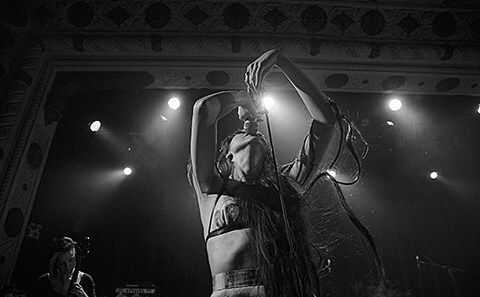 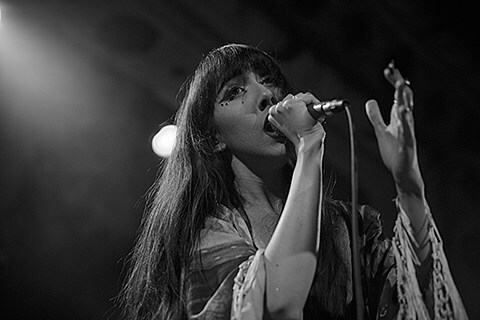 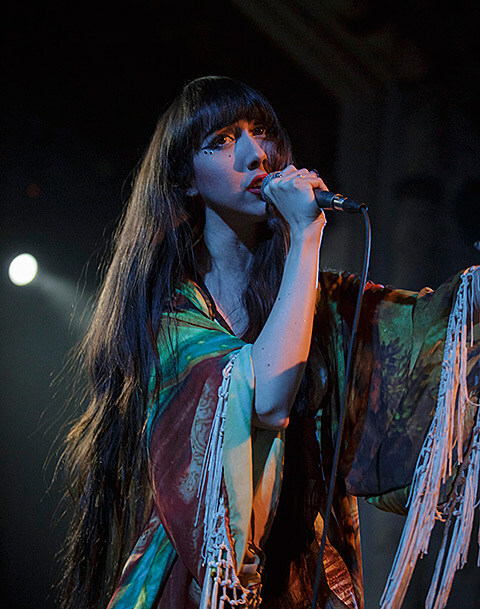 Dark and brooding like Trent Reznor’s How To Destroy Angels, front woman Ciscandra Nostalghia’s vocals sounded like a cross between Gwen Stefani and Kate Bush. 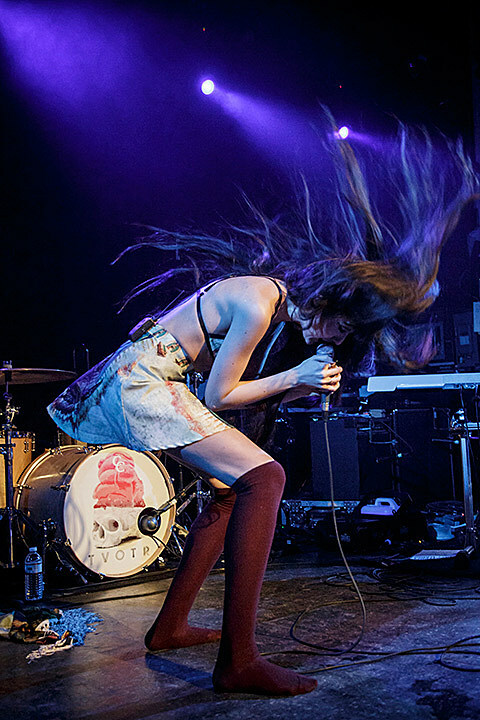 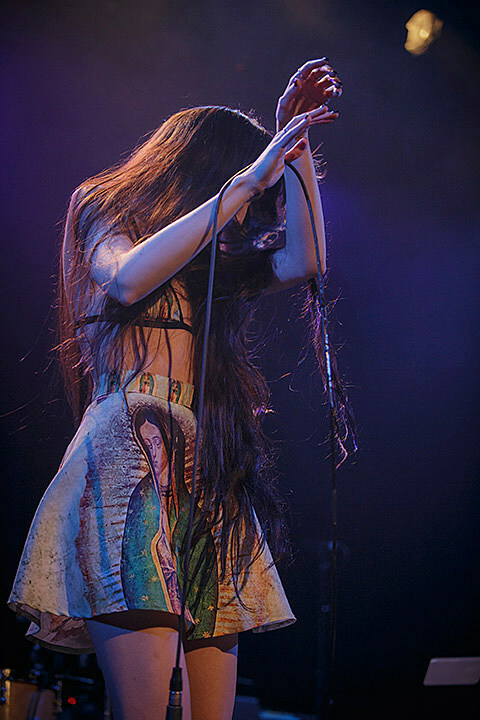 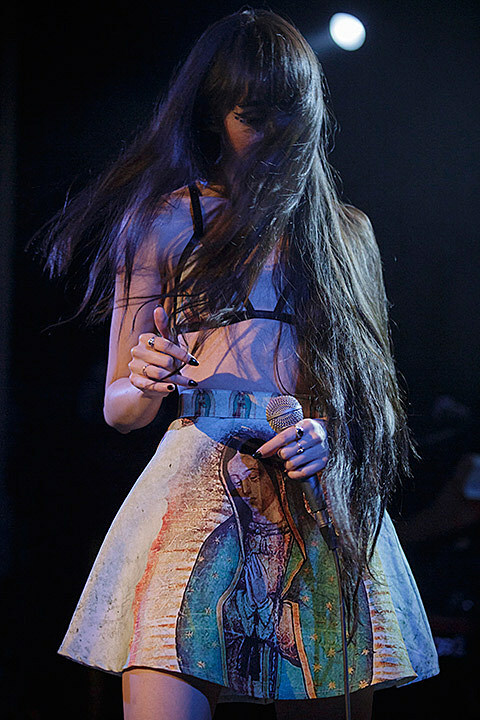 Performing on stage barefoot, her long black hair trailed behind her like a ghost from a Japanese horror film. 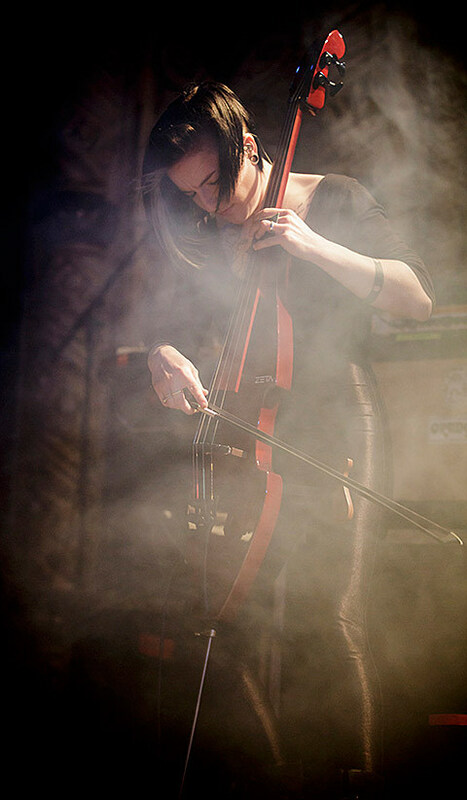 A nearby smoke machine only added to the band’s entrancing dark aesthetic. 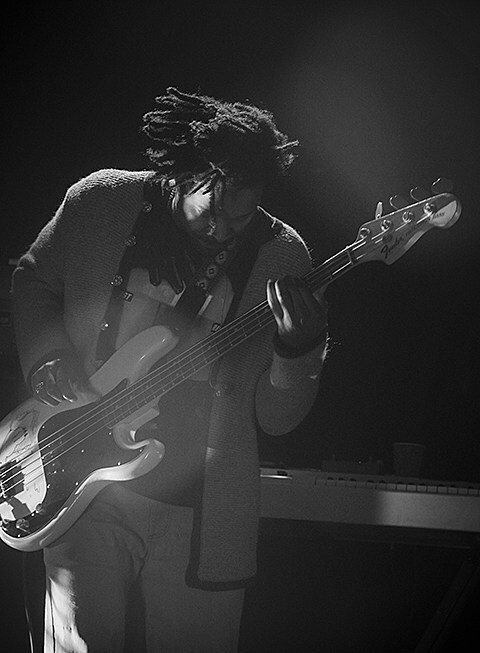 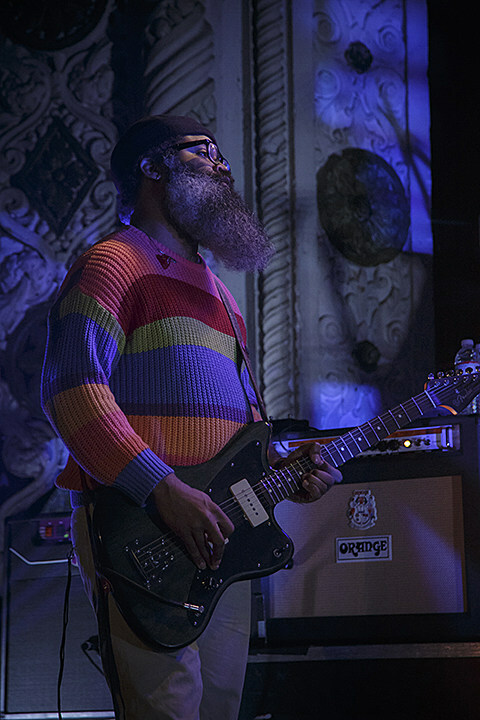 After a brief intermission, TV on the Radio made their way to the stage. 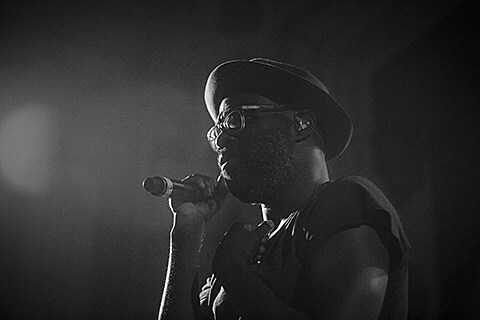 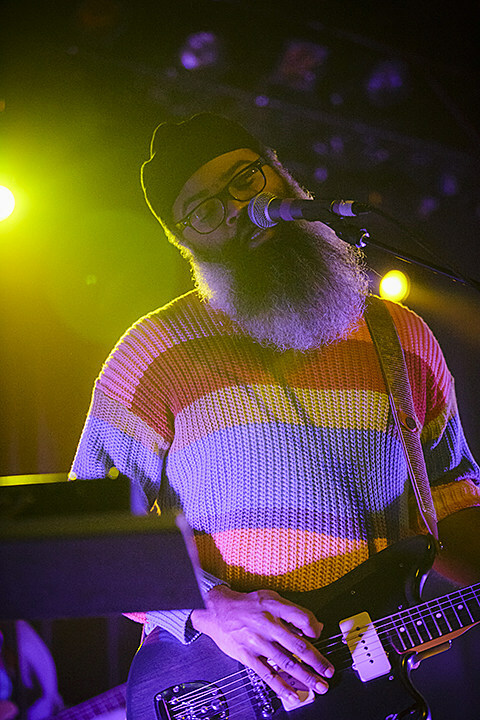 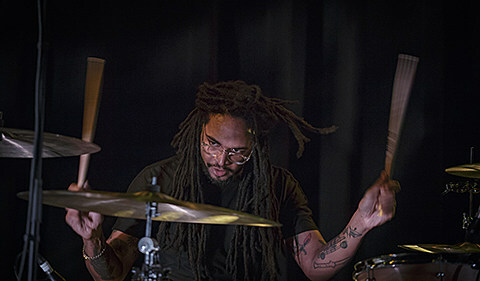 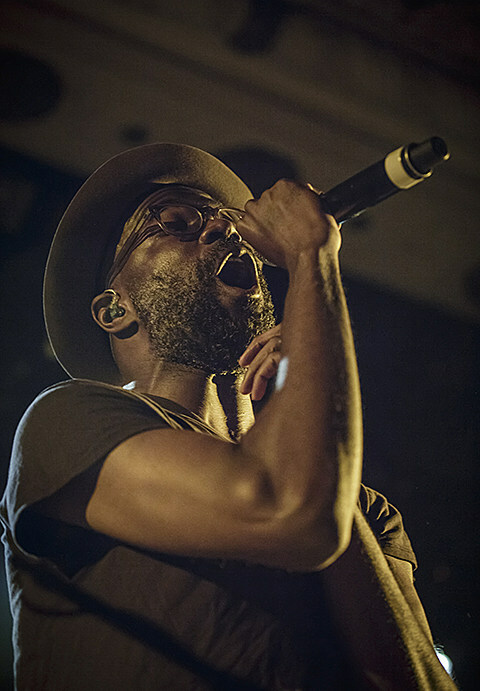 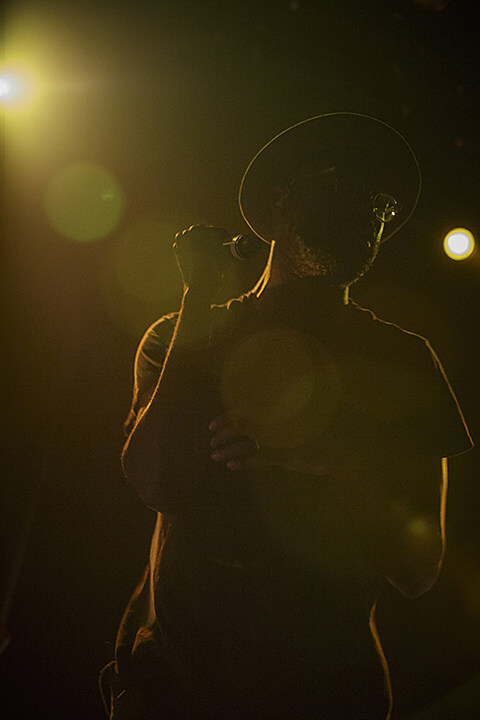 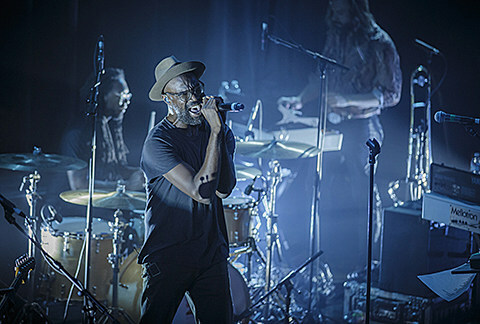 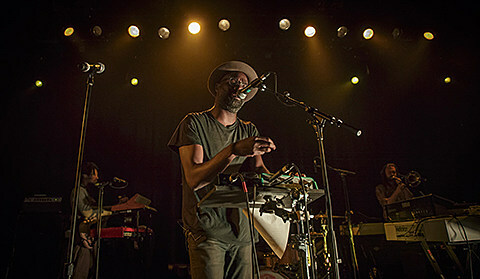 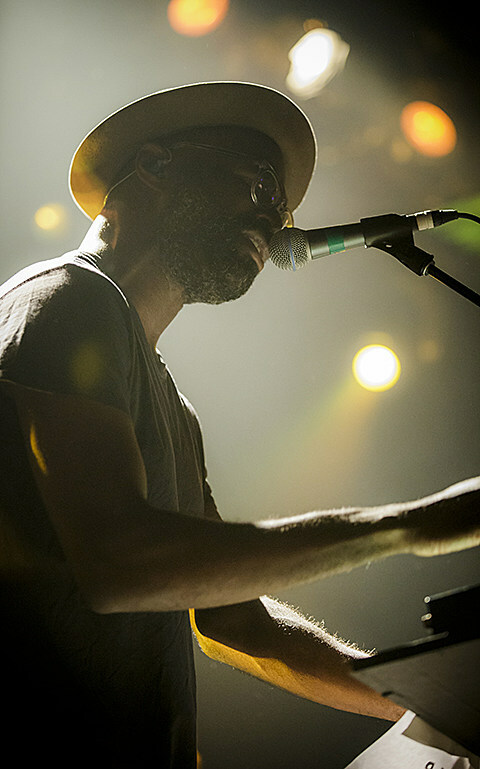 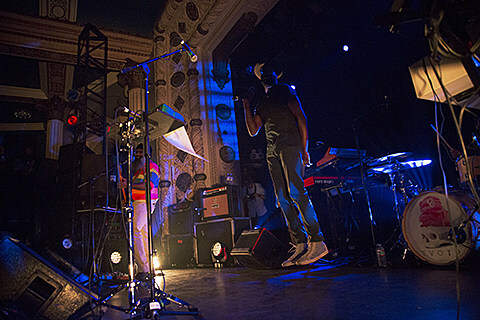 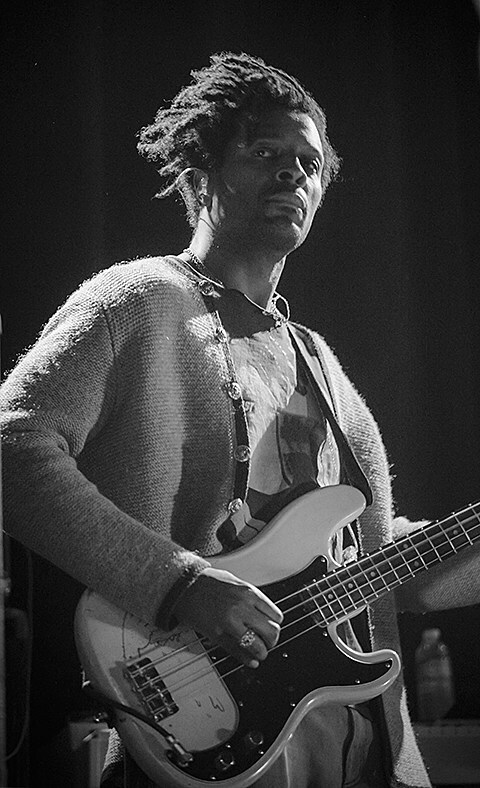 Frontman Tunde Adebimpe greeted the crowd and mentioned that the band could trace their beginnings to Chicago, having released Desperate Youth, Blood Thirsty Babes on Touch and Go back in 2004. 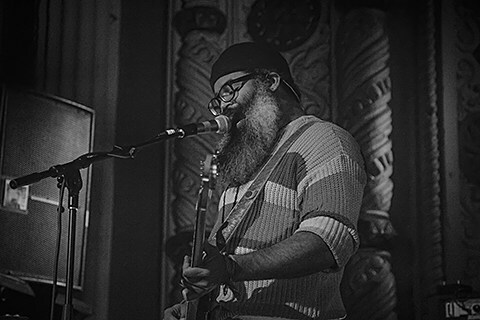 Fittingly the band opened with “Young Liars” a track from the same-name EP, their first major release on the label back in 2003. 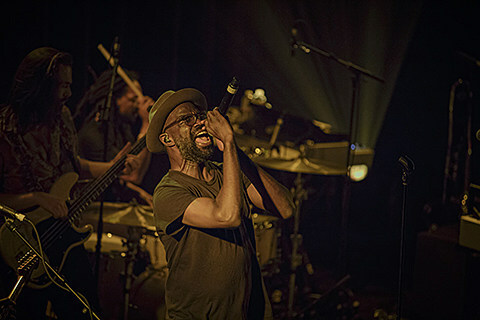 Throughout the song Adebimpe motioned with his hands for the crowd to clap along. 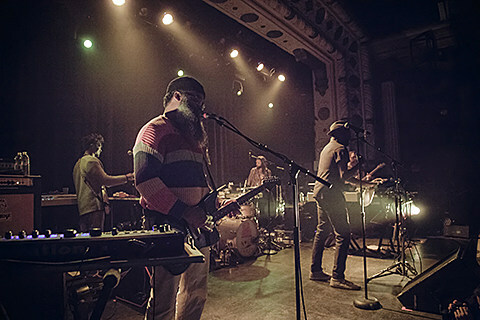 The band then followed up with the funkier “Golden Age” before playing “Lazerray” a major style switch which had the band sounding a bit like the Ramones. 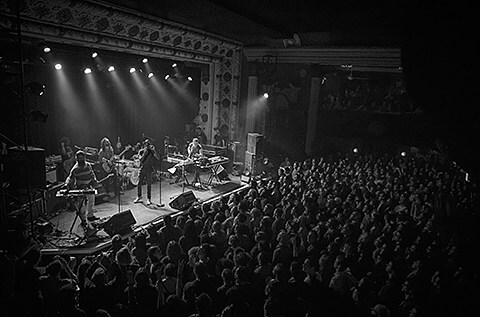 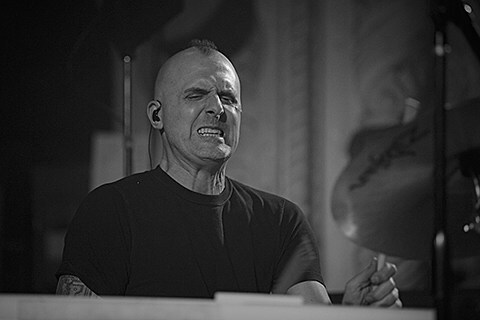 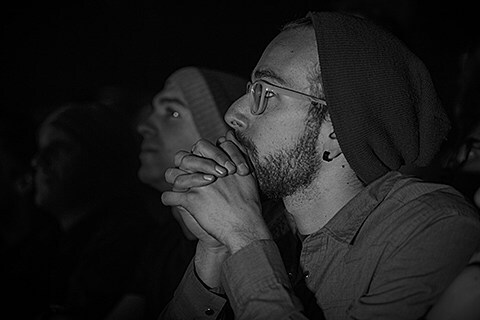 The band’s proficiency in different musical styles, and their seamless mixing and switching between them is what makes the band so great, and to see them do it live is one hell of a site to behold. 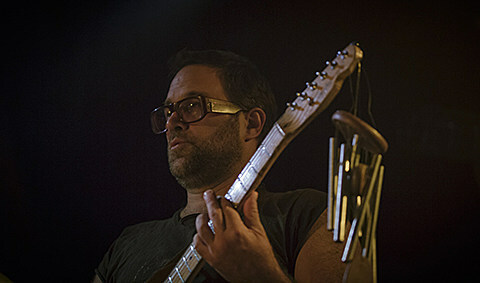 Soon came “Happy Idiot”, the excellent first single from Seeds, and one of my personal favorites on the new album. 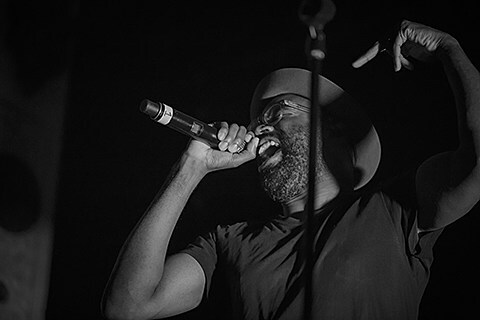 Just when I thought the band couldn’t get any better, they closed their set with “DLZ” a song that was used in one of the most iconic scenes in Breaking Bad’s second season. 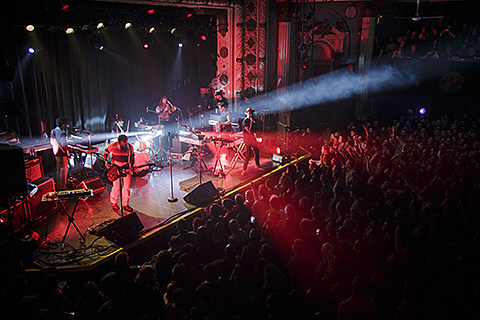 The band left the stage, but the crowd didn’t stop clapping until they returned for a three song encore that included “Ride”, “Dancing Choose”, and “Staring at the Sun”.